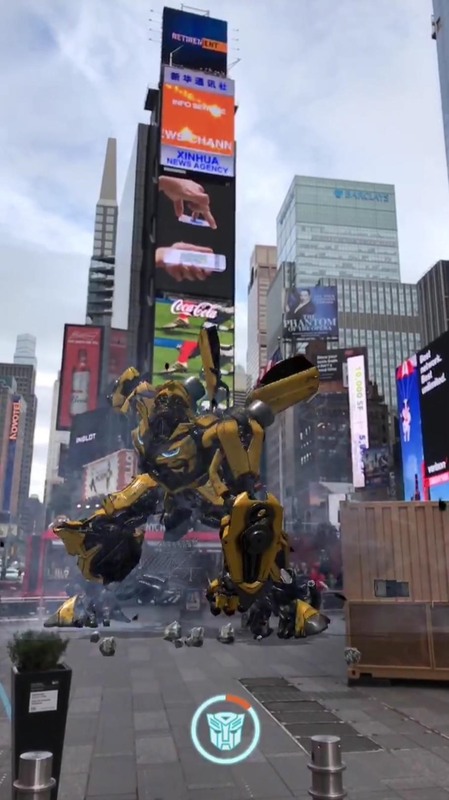 Just as the Transformers animated TV series of the '80s were basically half-hour commercials for toys, a new Transformers AR app for iOS similarly functions as a promotion for the latest installment in the film franchise. 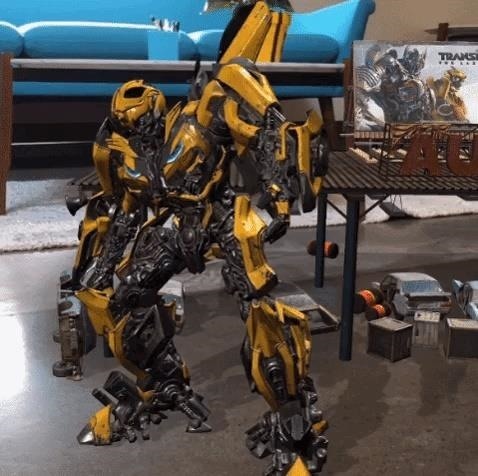 Paramount Home Media Distribution has published an ARKit app to the App Store to promote the release of Transformers: The Last Knight for home video. Transformers: Cade's Junkyard turns the user's physical environment into a Transformers play space. 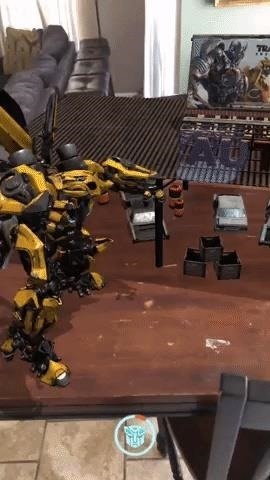 Users can summon Bumblebee to crash down into the space with a superhero landing. He can then proceed to destroy junkyard props that users can place around their physical environment. He can also transform into car mode when users draw a path on their screens for the Autobot to follow. 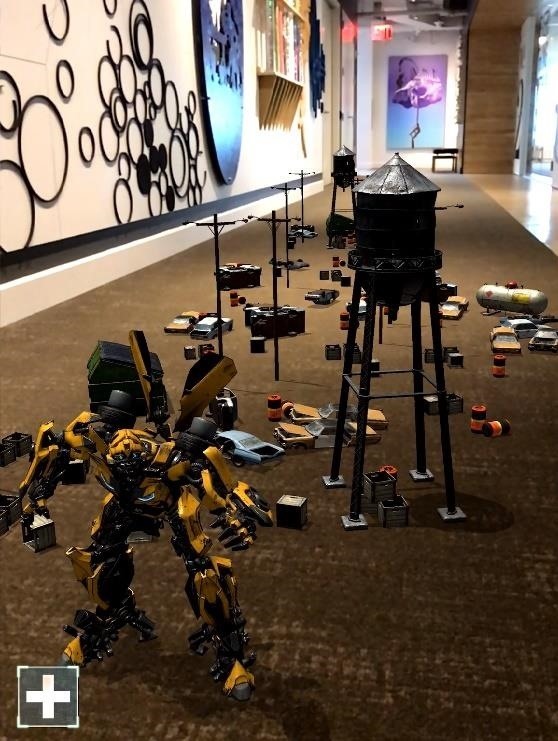 "This augmented reality experience gives fans the chance to interact with the Transformers universe in a new and exciting way," said Howard Hsieh, vice president of worldwide digital business development at Paramount Home Media Distribution, in a company statement. "The Transformers films appeal to a vast and diverse audience and we're excited to give fans the opportunity to get in the driver's seat and take Bumblebee for a ride." The app was developed by Viacom NEXT, an emerging technologies development team that builds augmented and virtual reality experiences for Viacom brands, including MTV, Comedy Central, Paramount Pictures, BET, and Nickelodeon, as well as outside partners. The team leveraged ARKit's surface detection capabilities to create the experience. "With ARKit, we can seamlessly bridge virtual and physical worlds to create immersive experiences that bring storytelling to life," said Chaki Ng, senior vice president of Viacom NEXT. Currently in its fifth installment, the Transformers movies still rake in billions of dollars worldwide, despite occasional mixed reviews from film critics. So when you generate that kind of box office revenue, yes, you get the additional resources to release an AR mobile app expressly designed to sell copies of the Blu-ray version of the movie. However, the film's marketing budget is finite, as the app will only be available as a free download until Feb. 20, 2018, presumably to avoid additional costs of upkeep. 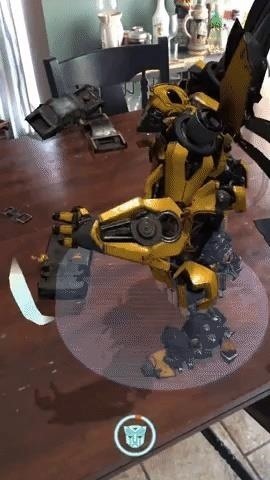 Until then, Transformers fans can virtually ride around the house with Bumblebee and break stuff.